Dr. Wayne Crannell is Associate Professor of Music at Austin College where he has been Director of Choral/Vocal Music for 21 years. Before coming to Austin College, Dr. Crannell was Director of Choirs and Voice Instructor at Simpson College (Iowa) and adjunct professor at the University of Wisconsin – Milwaukee. 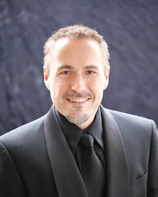 Dr. Crannell has been an active singer in art song, oratorio, and opera for 30 years and has appeared with orchestras and opera companies in the midwest and Texas. He has sung under and for such conductors and composers as James Levine, Sir Georg Solti, Margaret Hillis, Robert Shaw, Aaron Copland, Lukas Foss, Paul Salamunovich, John Rutter, and Margaret Hawkins. He has conducted choirs and orchestras in the US, UK, Australia and Western Europe. Dr. Crannell holds the Bachelor of Fine Arts in Performance and the Master of Music in Choral Conducting from the University of Wisconsin – Milwaukee where he received undergraduate scholarships, a graduate fellowship and was a teaching assistant as well as being the director of the UWM Madrigal Singers. His Doctor of Musical Arts degree is in Vocal Performance and Pedagogy from the University of Missouri – Kansas City Conservatory of Music where he studied under Dr. Anne DeLauney. While at the Conservatory, Dr. Crannell won the annual Concerto/Aria competition and was chosen an Alternate Winner of the Kansas City Metropolitan Opera auditions. His dissertation was entitled, “The Strophic Variation in the Monodies of Peri, Caccini, and d’India,” and he was a contributing author to the Something New to Sing About series from Hal Leonard and Glencoe Publishing. Dr. Crannell has also written regular articles for VocalEase magazine and reviews for The Choral Journal. Dr. Crannell has premiered a number of vocal and choral works by Ronald Albrecht, Francine Trester, Timothy Cutler, Matthew Oltman, and Anna Laura Page, as well as having written and arranged his own choral works and college a cappella pieces. At Austin College, Dr. Crannell directs the Austin College A Cappella Choir, the Austin College Chorale as well as smaller a cappella ensembles. His teaching includes music courses in choral literature and techniques, conducting, vocal pedagogy, vocal literature, opera literature, and music appreciation courses in the history of rock and roll and 20th/21st century American music. His non-music courses have included short term courses on film noir, animation, film musicals, and cathedrals of France. His January Term course, “Castles, Crosses, Kilts, and Celts” traveled to Scotland for the 6th time in January 2015, and he taught a new freshman seminar course in fall 2011 entitled, “Music of the 60s: the Nature of Genius.” Other recent work included a serving as Vocal Director for a joint Austin College – Sherman Community Players production of “Les Miserables,” a 2016 January Term as Musical Director for a full production of “Cabaret,” and a joint recital at the University of Tennessee – Martin with his former student, Dr. Roberto Mancusi. Future performances include Beethoven’s 9th Symphony in May 2017, and a concert version of Mozart’s Die Zaubeflöte in September 2017. Research interests include such areas as the application of Laban Movement Analysis to the physical tendencies of the individual as a predictor of music learning, avant garde choral composition, Scottish castles, and college a cappella arranging.